We’ve recently discussed the complexities involved in making sense of the data that comes from mining social media for popular sentiment. In that posting, we reviewed some of the sources of the massive amount of information that social media analytics processes: postings and comments on social networks, YouTube videos and commentary, blogs, Tweets, and so on. While the main thrust of our earlier column focused on the problem of analytics or making sense of this information, the question of whether or not to create a presence in social networks is much more focused on the importance of gathering, rather than analyzing, all that data. Collecting information about your company from multiple sources is not a new concept. Press clipping services have been doing this for well over a century. Gathering information from social media is, in essentials, a more extensive and technically advanced form of that classic press-clipping model, in which humans sat down with a stack of newspapers and a list of clients, and read through their entire stack of papers, looking for references to the clients on their list and clipping those articles in which the client was mentioned. Now those humans are largely replaced by software, and the relatively neat stack of papers has become a disorganized pile of social media scraps gleaned from just about everywhere online. The question that faces many business owners is, should one of those sources contributing to that vast, disorganized pile be your own social media site? If you have a web presence in the form of your company website, you probably spent a substantial amount of time and money making it into a well-organized marketing tool that, at the very least, shows your company to advantage, highlights its services, and reinforces its positive image. Do you need a social media presence as well? In this article, we will attempt to answer that question, or at least put forward the pros and cons of doing so. There are a number of advantages, which the internet-savvy will be quick to point out, but there are also a lot of potential pitfalls that await you. How beneficial it largely depends on how and where you set up your social media site, and how you maintain it and respond to interactions with it. As with everything else you invest in for your business, you will greatly increase your return on investment by being clear about your goals and reasons for developing a social media presence. It is an online set of applications that allows participants to share and/or create digital media such as news stories, photographs, opinions, videos, information, and so on, and which allows members to comment on and discuss these items using the online tools. Social media can be used to refer to the actual content that is created and exchanged using social media applications. Within this article, we will use social media to refer to the applications themselves, rather than as a generalized term for the content. The term “social media” is often used interchangeably with “social networks”, but there are significant differences between the two. It could be said that social networks are simply one type of social media, which more closely emulates interactive communities. Social media includes social networks such as Facebook and Twitter, but social networks have the additional community-like aspect of engagement and interactivity. It is there that the most significant difference can be identified: in web terms, social media are relatively static, one-way communications. Social networks invite participation and multi-way communication. To illustrate this more clearly: If we post this article online, we have utilized social media to share information, but once we add a place for you to comment and discuss this post, we now have a social network where people with an interest in the article can actually connect. While it is important to understand that there is a difference between social media and social networking, it is also important to realize that the decision to have a social media presence will almost certainly include the use of social networks, which are the main drivers, repositories, and areas of activity of social media. Even sites which focus primarily on the sharing of media, like YouTube, also have a social networking aspect to them, in which people can comment and discuss a video. 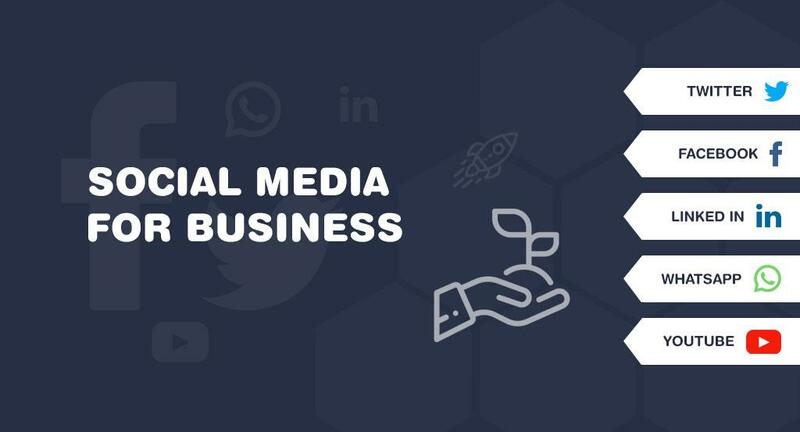 If you are considering using social media as a business tool, one primary consideration is which social networks are best suited to your business’s message and social media strategy – particularly whether you are hoping to foster one-way or multi-way communication. Social networks can vary widely. Some online communities are closed to all members, but some are semi-open in that they can be viewed by anyone, but only members can participate, and some are completely open without any overt restrictions. Many large companies have launched social networks on their own intranets strictly for company use, and some social networks focus on the sharing of specific types of files, such as videos or photos. Some social networks are aimed at a particular audience – one of the most extreme is called – “Affluence”, where aspiring networkers need to prove their net worth before being permitted to join – while others, like Facebook and Twitter, are open to anyone with a computer. LinkedIn is a well-known social network for professionals that went from being invitation-only to becoming the signature online social network for working professionals. Ello is a relative newcomer to the social networking landscape, advertising itself as a sort of “anti-Facebook” that eschews advertising and respects privacy. YouTube focuses on videos, Instagram is one of many media sites that provide photo-sharing, and Yelp solicits reviews of businesses large and small, with an emphasis on local providers. Your social media strategy is very important. Be clear about what you intend to accomplish. Deciding to have a social media presence because “everyone else does” is not a good decision-driver. Without a clear goal, you are opening yourself up to some of the real downsides of having a social media presence, which we will discuss below. Is your goal primarily advertising, and promoting brand recognition? In that case, you might prefer to avoid the two-way communication that is the hallmark of most social networks. Facebook allows you to limit or eliminate comments and postings by visitors to your page. Alternatively, you might permit private messages, but not public posting by visitors. You might want to use your page to provide informational eBooks and videos only. If your goal is to improve customer service, on the other hand, you may want to make sure that visitors can post their issues directly to your staff – and you’ll want to make sure that your staff can respond to them quickly and effectively, by dedicating personnel to monitor the page, and empowering them to resolve issues. Whatever you eventually decide are your key goals, one thing you do not want to do is to treat your social media presence as a casual sideline. Social media is very powerful, and to underestimate that power is to open yourself up to public criticism, lampooning, and trolling. Make sure your social media program is in the hands of an expert – not someone in your company who happens to have a Facebook page and a Twitter account. You want to be sure that your social media presence is well-managed by someone who knows the implications of communicating with your unseen public. You might consider using a consultant for the best outcome. Decide how you will start and grow your social media presence: maybe you will start with LinkedIn, with its safer and more focused professional audience, and then grow into riskier venues, such as Facebook, Twitter, and Pinterest, where people are more likely to comment freely and without restraint. Also, consider how you will gather, interpret and use information collected from your social media postings to ensure your social media strategy is working as you intended. To help you evaluate whether or not to pursue a social media strategy, let’s look at some of the pros and cons of having a presence in the social media sphere. Increase traffic to your website. This is one of the most common reasons to cultivate a presence on social media and networks. By being easily available in a venue that is commonly used, like Facebook, you become more available to the casual surfer. Moreover, a person using a search engine to find your company will get not only your main website, but your social media sites as well, giving them a number of ways to find you and, in effect, increasing the presence of your brand on the Internet. Instant feedback from the customer’s perspective. Marketing surveys attempt to do this, but they do not function in real time, and the presence of a survey puts people on notice that they are being “watched”. Responses on social media sites are more direct and less edited – for better and worse. You can then speedily leverage those poor responses into good ones by responding to your customers’ concerns and desires in a fraction of the time consumed by marketing surveys. Immediate customer interactions. An unhappy customer may think that posting a complaint on your Facebook page is a “gotcha” that will make your marketing and customer service people cringe, but when that complaint gets a quick response, without the user having had to wait on hold or navigate a phone menu to find the right department, the result is converting a person with a complaint into a happy customer! Generate sales leads. You can solicit interest on your social media page itself, and you can use sites that permit advertising to encourage people to request contact. You can solicit “likes”, shares, and recommendations, which your sales and marketing people can use for targeted advertising – right there on the social media page of your potential client or customer. Ultimate word of mouth advertising. The nature of social media, and enable an image, video, product, or service to go viral can spread the word about your company much faster than traditional advertising. People who walk out of the room during television commercials and skip the ads in a magazine still pay attention to the “likes” of their friends. Resources are needed. While the return on investment for social media is much greater than the hit-or-miss ROI of traditional advertising, you must dedicate resources to be successful. You need to dedicate some money to penetrate social media effectively, and you must dedicate staff to monitoring and responding in a timely manner. Not to do so can be more damaging than having no social media presence at all. You have less control over your content. Once you have published something to your social media page, it can be copied and shared, sometimes in unflattering ways. This is also true of anything you post to your official website, so as far as risks go, your content is probably already at risk to some degree. Keeping an eye on your online presence, both voluntary and involuntary, which is something you should be doing anyway, will quickly let you know if your content is showing up in places it shouldn’t. Security and privacy risks. In the same category, if you have a website, you are already at some risk from hackers and Spoofers. The greater your online presence, the greater the risk. Careful management of your social media presence and what you make available can help mitigate this risk. Educating your employees on social media security practices can help eliminate risks from the inside. Complaints are public. However, as mentioned above, you can respond much faster to an unhappy customer, turning an angry client into an enthusiastic fan. A strong, well-planned social media policy can benefit your business in ways that appear to the customer to be much more personal and directed than traditional advertising. A good plan will exploit the possibilities and mitigate the risks. And as you make this decision for your business, there is one more very important thing to consider: whether you have planned it or not, whether you have invested time, personnel, and energy into a social media page or not, the fact is, you do have a social media presence. Out there in the online world, people are talking about you. If you want to be part of the conversation, and help manage perception, the best way to do it is by ensuring that your social media presence is one that you have planned and implemented, and not one that is a byproduct of gossip and disgruntled customers.